The new special edition is based on the range-topping VX CVT-petrol variant. Honda Cars India has launched a limited run variant of its flagship hatchback, the Jazz. Christened ‘Exclusive Edition’, it is only available with the petrol-CVT powertrain and is based on the range-topping VX variant. Priced at Rs 9.22 lakh (ex-showroom, Delhi), the Jazz Exclusive edition attracts a premium of Rs 19,000 over the standard VX variant. Honda has reintroduced the chunky rear spoiler finished in gloss black with an LED stop lamp, which was offered with the pre-2018 model. 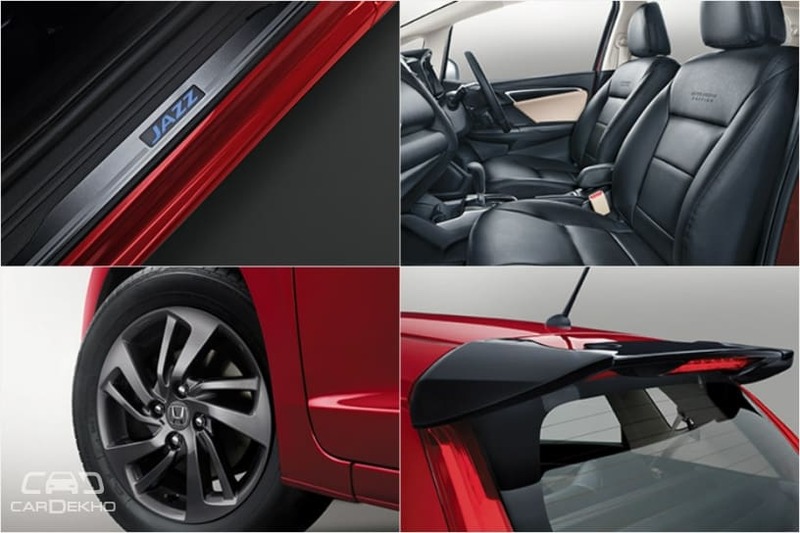 Besides these, the Jazz Exclusive Edition carries forward the standard equipment list of the VX CVT variant. Some of the features on offer include a 7-inch infotainment system with Apple CarPlay and Android Auto, paddle shifters, passive keyless entry with push-button engine start/stop, LED tail lamps and touch-based climate control unit. The premium for the new additions is on the higher side, but it does make the hatchback stand out from the standard version. There are no mechanical changes as this is a limited run model and carries forward the same 1.2-litre petrol engine. The petrol engine makes 90PS of power and 110Nm of peak torque and is mated to a 7-step CVT with paddle shifters. Apart from the Jazz, Honda has also introduced Exclusive Editions of the WR-V and the Amaze. The Honda Jazz is priced from Rs 7.39 lakh to Rs 9.33 lakh (ex-showroom, Delhi) and goes up against the likes of the Hyundai Elite i20 and Maruti Suzuki Baleno.